A day riding an electrically assisted bicycle combined with the pleasures of a typical Alsatian lunch! Roam the hills, valleys and vineyards for a day and enjoy a lunch break in one of our partner restaurants. 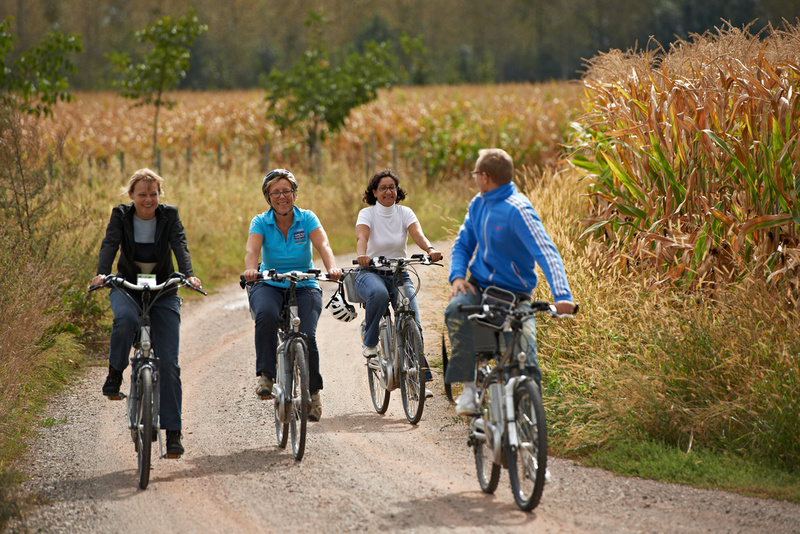 A great way to discover our part of Alsace, combining pleasant physical activity, a ride in the fresh air and the pleasures of an Alsatian meal! 1-day rental of an electrically assisted bicycle. 1 terroir lunch (typical Alsatian) comprising starter, main dish and dessert. It does not include: €120 deposit on the bicycle, drinks and personal expenses. Package on sale at our Rosheim and Ottrott branches. Subject to booking. Commentaire court EN: Rent a day of the electric bike with a lunch in one of our partner restaurants. On reservation.